Does just the mention of piano sight reading get your students offside? Does it make them squirm in their seats, look down and fiddle with their fingers, or even ask to play scales instead!? Okay, so that last one might have been a bit of a stretch, but students often view technical exercises as a boring yet necessary part of a piano lesson. Piano sight reading can be a scary experience, especially for beginner or younger students. Preparing them the right way can help you and your students feel confident for when they walk into that examination room. 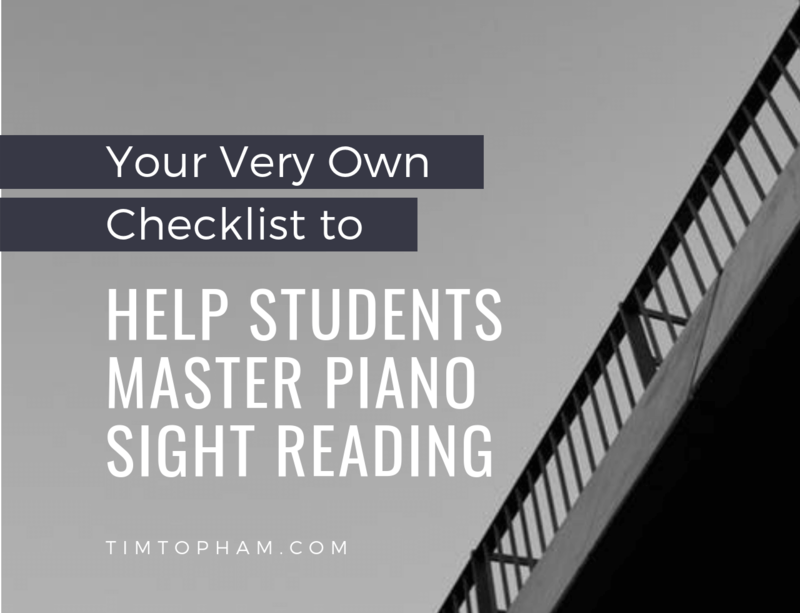 Today, we are giving away a piano sight reading checklist which you can give to every one of your students. Let them print it out, scribble on it, highlight things and leave it next to their piano, so they can refer to it whenever they need. 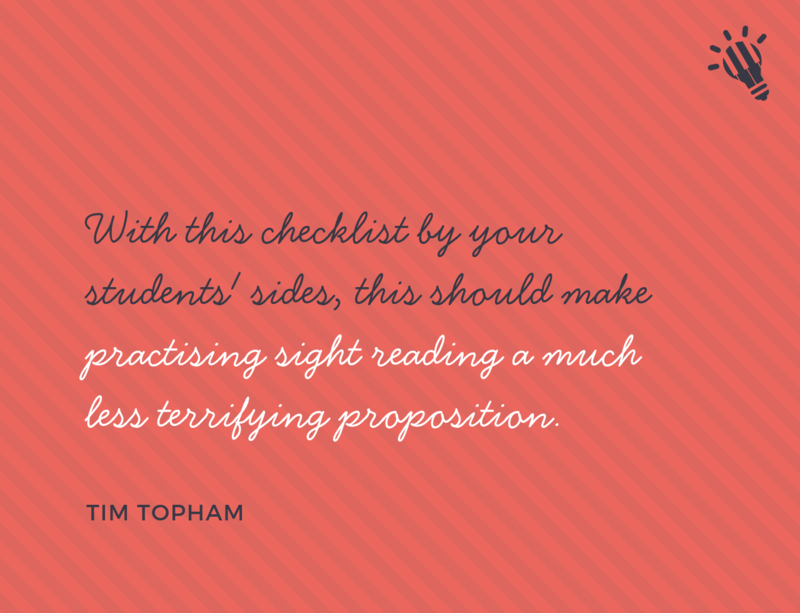 With this checklist, your students will never get scared by sight reading again! 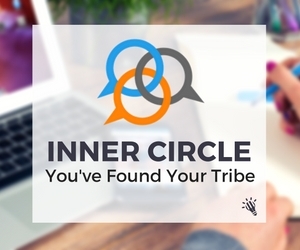 Read through to the bottom of this post to find today’s free download. There are a few things you can do in your studio, before we even get to the 10 key steps your students should follow, to ensure your students don’t dread piano sight reading. Making sight reading the first thing you check every lesson? Have you made sure it is an important part of your students’ practice routine? Having an appropriate book for each student to work through, suited to their level and goals? And have you linked sight reading practice to a ‘40 piece challenge‘ (or something similiar) to encourage as much reading as possible? So why is sight reading such a bore for students? Improving sight reading is a very slow process so results are a long way off. This is why it’s good to set lots of regular, short-term goals. 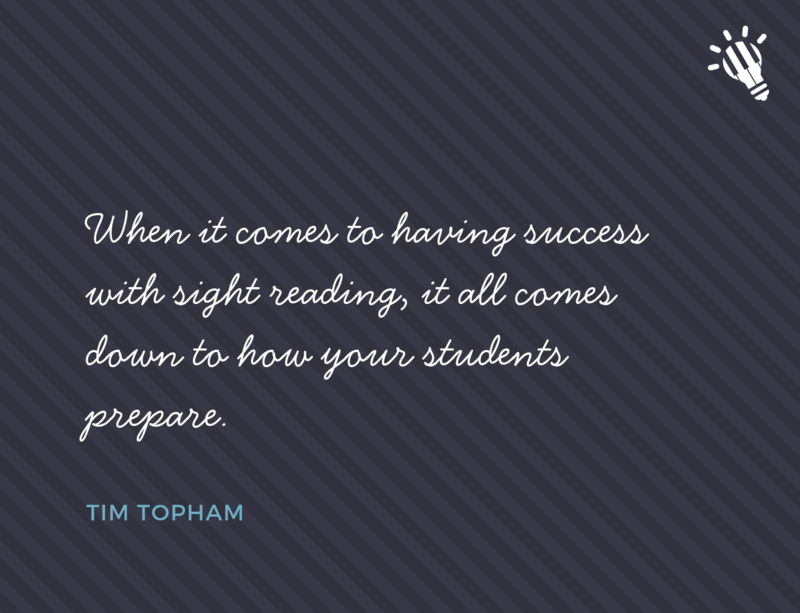 When it comes to having success with sight reading, it all comes down to how your students prepare. If they aren’t ready before they start playing, how can you expect them to play it to the best of their ability? Talk through the various processes to prepare and remember each student will probably have a different routine. Some students might take three deep breaths, another might close his eyes, another might relax her shoulders – it really doesn’t matter, but as a teacher, you need to help find how out how each of your student’s prepare before playing and make sure they do the same thing each time. We will go into preparation later on when we come to the 10 Step Checklist for Sight Reading Success. Roberta Wolff wrote on this blog last year about how she encourages her students to lock into the music when they sight read. To help students switch into sight-reading mode, I teach them to lock into the music. It is a bit like unearthing a fossil. You don’t know exactly what you will find at the start but there are clues which lead to expectations, and soon you know you will reveal at least part of a particular species which will imply the whole. In music it is the same, we absorb and interpret our clues, develop expectations, spot the central features and although we might not read every note perfectly, we capture the character and flavour of the piece. What Roberta says about not playing every note perfectly is a fantastic point that you need to drum into your students. Sight-reading is about feeling the style of the piece, capturing the essence of what the writer has composed and playing the piece through, no matter the mistakes. What scares you about this piece of sight reading? Letting your students be vulnerable is great and they will get used to it. By looking at what your students might be scared about in a piece of music, you can break it a part and show them that really, all of those notes on the page are just a broken chord, or the rhythm really isn’t that tough, or the key signature is one they are actually familiar with. Breaking tasks into smaller chunks is more manageable for those students that get overwhelmed by sight reading. Okay, now we get to the 10 things every piano student should do before they even attempt to sight read a piece of music. Do you have anything else to add to this list? Let us know in the comments below. Here’s the first five steps, enter your details below for a free download of a PDF document featuring all 10 steps. You can print this out as many times as you like, give one to your students and tell them to stick it near their piano – this way they can look at it and digest it every time before they practice their piano sight reading (and hopefully they practice!). Check the time signature. It seems obvious, and it is. The first step is to see how many beats are in a bar – is it four beats? how does that feel? Count it out in your head. Find the key. Are there any sharps of flats? What are they? Can you play a scale in that key to familiarise yourself with the notes and hand movements? Sing through the piece in your head. This step is VERY important. Get a feel for how it should sound by singing through the piece in your head, while tracing the melody line with your finger. Understand the shape and contour of the piece. Sing out loud when you are practising. Find any patterns. What ideas repeat? Are certain rhythms repeated? Find them and circle/colour if you wish. Try not to let your eyes dance around the page, but look carefully and closely at each bar for patterns. Find your starting hand positions. Do you need to shift anywhere during the piece? If so where? And where to? Try out the jump on the surface of the keys without making a noise. I hope this has helped you and your students realise piano sight reading doesn’t have to be that scary! With this checklist by your students’ sides, this should make practising sight reading a much less terrifying proposition. And as a teacher, make sure you are choosing sight reading tasks that match your students’ ability. Do you have any other sight reading tips? I’d love to see them – comment below.